Brian has been practicing yoga off and on for 4 years now. The last 2 years of having a consistent and more serious practice. Teaching was not his original plan. Then one time in a class Brian heard the song Breathe by Alexi Murdoc and knew then he wanted to be a teacher. 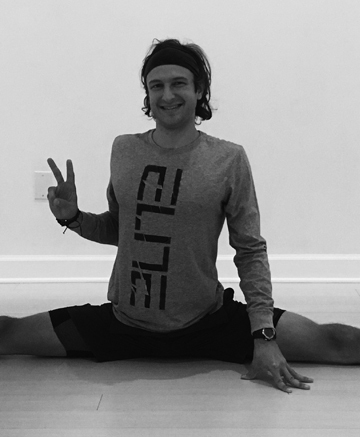 Shortly after that Monday evening flow class in Tremont OH, Brian enrolled and completed his 200 Hour Teacher Training. It was led by Tami Schneider at Cleveland Yoga. He credits Tami and the wonderful training for understanding more about yoga and discovering actual #feelings. Brian’s classes are based on the Baptiste sequence – Journey Into Power.